There’s been a fair bit of hand-wringing over post-retrofit inertia over the last few years, with Irish figures showing that the numbers undertaking shallow energy retrofits has fallen off a cliff since 2011. So where does that leave those tasked with persuading sceptical homeowners of the virtues of undertaking deep retrofits, including those to the passive house standard? Much of the talk appears to have focused on whether or not we should move away from grant-based support programmes like the Better Energy Scheme to more market-based approaches like pay as you save. 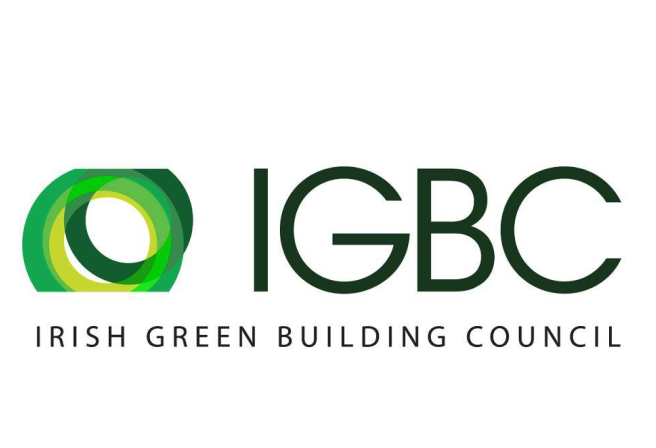 But at least part of the overall answer may well be found by looking more closely at the psychology of retrofitting, according to Fintan Smyth, building physics manager for Isover Ireland and Gyproc. A qualified architectural technician, BER assessor and trainer, and passive house designer, Smyth has been living and breathing the issue of how to market deep retrofits in Ireland while also working to promote a sustainability agenda. Among other things, he was seconded to Ireland’s Department of Energy in 2013 to develop viable industry-led proposals for a national residential retrofit strategy as part of the Sustainable Energy Authority of Ireland’s (SEAI’s) Better Energy Financing project, and earlier this year submitted a dissertation for an MSc in architecture: environment and energy studies (University of East London) entitled: ‘New expectations: assessing a marketing proposal for energy efficient retrofit in Ireland”. Smyth says this point really hit home recently while speaking about financing at an event in University College Dublin. During his presentation, he asked how many of the participants – the very folks who you would expect to ‘get it’ when it comes to the virtues of deep retrofits – had actually undertaken one on their own home. No-one put up their hand, he said. When he asked why, the only person who responded said simply that he couldn’t afford it. Based on his experience of engaging with the issue of selling deep retrofits, Smyth would class this group as one of four distinct categories of homeowner: architects and other professionals in the field who get entrenched in the complexity and become obsessed with the desire to achieve the most perfect outcome and therefore postpone doing anything significant. The other categories are: those who have done shallow retrofits or individual measures and believe they don’t need to do any more, those who ignore the issue entirely, and finally those — often with an engineering mindset — who just do it. Indeed, people who retrofit purely for the energy savings are pleasantly surprised at the comfort difference, but would rarely cite that as a motivating factor to begin with, he adds. SEAI studies also show that many underestimate the benefits of deep retrofit works, while overestimating the potential time, hassle and cost involved, but speaking to neighbours, family or friends who have gone down the retrofit road is a highly effective mind-changer. “While people often do not make the connection between energy efficiency upgrades and things that are important to them, such as comfort and the level of their monthly energy bills, hearing the story from somebody they trust is key,” says Jammet. She believes focusing on the immediate benefits of comfort and health is the best way to make deep retrofit more appealing, such as highlighting the evidence that cardiovascular and respiratory diseases are worsened by living in cold houses, or that fuel poverty affects mental health. Fintan Smyth also preaches the gospel of immediacy. He cites behavioural experts like Dr Pete Lunn of the Economic and Social Research Institute (ESRI), who emphasise the importance of talking about the present tense, “to not talk about future deliverables, like long-term energy savings. It needs to be now.” As part of his bid to create a simple, immediate and appealing marketing proposal for deep retrofit, Smyth conducted a small-scale survey for his MSc thesis involving 12 participants who attended a workshop. 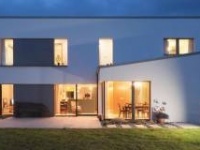 To help illustrate his survey questions, he used the example of a deep retrofit he conducted on his own 120 square metre four-bed semi-D home in Dublin that transformed its energy rating from an E to an A at a cost of less than €20,000. This work included external insulation to three of the four walls (the fourth getting a cavity-fill), upgrading the attic insulation, replacing four of the worst windows, upgrading the boiler and heating controls, and a new stove in the sitting room. So assuming a retrofit cost of €20,000, Smyth calculated that the mortgage top-up for that amount would be €151 a month over 15 years at current rates. When he showed his survey participants two identical houses, one with an E energy rating costing €1,250 a month to rent and one with an A rating, he asked them how much more a month they would be prepared to pay to live in the A-rated house. The most common answer was €150 a month. And that was before taking into account conservatively estimated energy savings of around €75 a month for gas and electricity bills — never mind the positive effect on the property’s value, or on occupant health and comfort. But another key element of the job of selling energy efficiency should also be actively creating a vision for retrofits and increasing the aspiration factor. Smyth believes deep retrofit needs to be sold as a complete package rather than as a series of individual measures with all their confusing details, which invariably lead to further procrastination. His own method is to contrast what he calls the ‘iPhone house’ – comfortable, green and attractive — with the ‘old house’. The virtues of selling a complete package may well ring true for those who currently market passive house retrofits but, given the undeniably higher capital cost involved, money may inevitably become an issue. 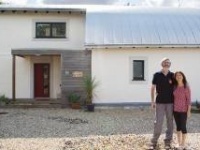 Although Smyth is a certified passive house designer and had set out in 2013 to champion passive house as the retrofit standard as part of the Better Energy Financing project — “because otherwise we were just kicking the can down the road and making problems for the future” — the early feedback he got made him question its economic viability, and prompted him to alter his own psychology in relation to marketing deep retrofits. The Energiesprong scheme in the Netherlands (profiled in issue 13 of Passive House Plus) has been showing the way forward for cost-effective, cleverly financed deep retrofits. But the lowest cost for any scheme has not fallen much below €70,000 per house for passive-level upgrades, according to Smyth. The conclusion he came to was that holding out for the ‘dream’ outcome of a national retrofit scheme based around passive house standards would not be worth it, for what he believes would be minimal energy savings achieved over a retrofit programme driven by Deap, the software used to calculate building energy ratings (Ireland’s equivalent to Sap). “The reason being that, the longer we wait to tackle climate change the bigger the problem is getting in the meantime. 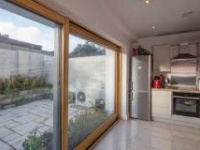 Therefore we need to be quite practical about where we say this is good enough.” As a keen environmentalist, he is also concerned that a passive house retrofit programme could have a higher carbon footprint. So even though he knows and acknowledges that passive house works and is better in every way, promoting Deap-driven retrofit is the way to get things moving, he believes. This of course is exactly what the government’s been doing, albeit typically with much shallower measures than proposed by Smyth. At least one critic who begs to differ is passive house architect Simon McGuinness. “They have started on the wrong page, on an incremental path towards retrofit,” he says. “The only thing sure about incremental retrofit is that you will lock yourself in financially at some point before achieving your goal. This is because you have not defined your goal at the beginning, you have just defined some of your early steps." The EU-backed Europhit project, which is coordinated by the Passive House Institute, is using practical examples to demonstrate how to carry out passive retrofits over time. So if you have limited capital now, you might choose to spend it solely on external insulation to passive standard rather than giving your whole building envelope and heating system a shallow upgrade. This means that if you have more funds again in five years’ time, you can install another passive element — say triple-glazing — and so forth into the future. The psychology for success in starting the push for full passive house retrofits, McGuinness says, is to get the right owner at the right time to make the investment required. This means finding early adaptors, who will tend to be mature clients approaching retirement, perhaps with some history of ill-health within the family. For them, he says, the priority is comfort, convenience, health and security, and the only incentive they would need is a low-interest home loan. McGuinness talks of a client in Salthill, Co. Galway who has a certified passive house (as featured in issue 11 of Passive House Plus) delivered by retrofit for around €136,000, with the energy saving elements of the upgrade believed to cost around €85,000 – a figure that could be expected to fall in the future as the supply chain increases and economies of scale kick in. “The very last thing that guy wants is…to set off on a journey without a fixed end point and with an indefinite journey time… He needs to get stuck in, do it once, do it right, and move in and enjoy the comfort. 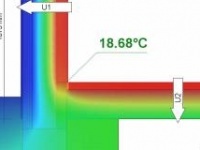 One hit, one standard: passive house certified.